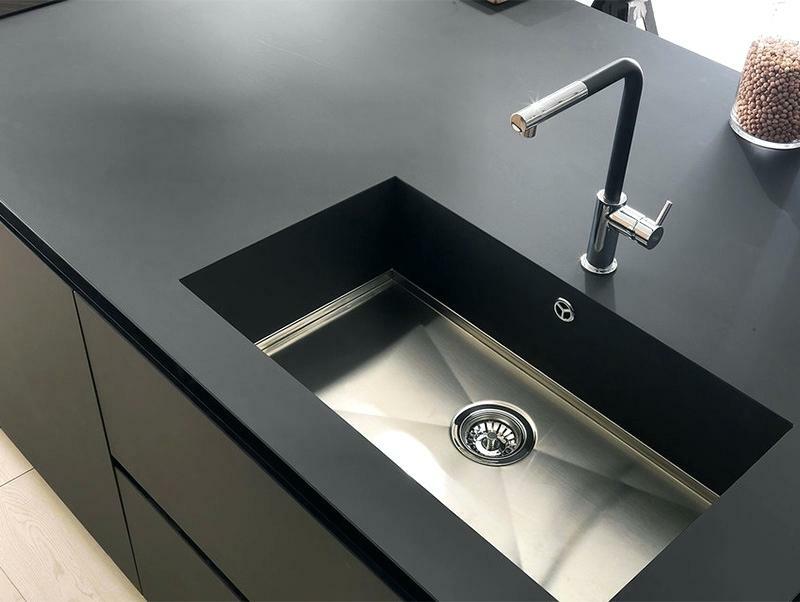 The most innovative materials for your kitchen worktop. 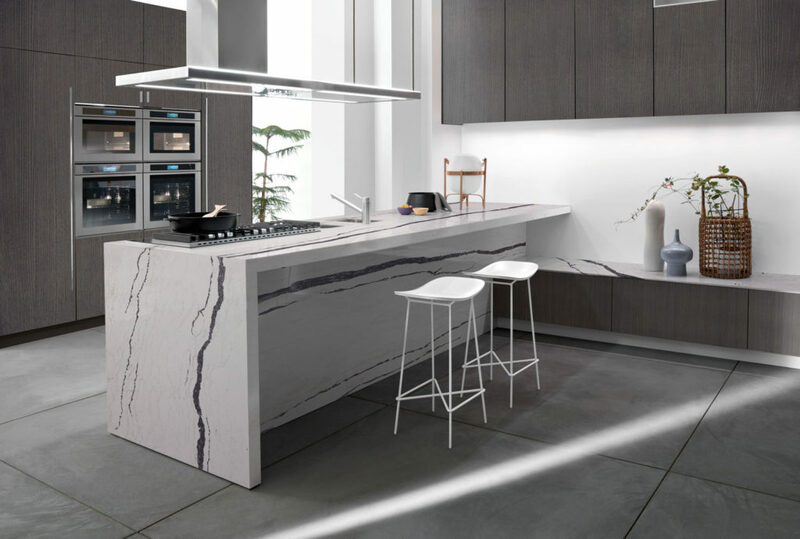 Elegant and super functional worktops, thanks to the latest generation materials. For many of us, the kitchen is the most lived-in home environment, the one where we spend the most time. Here we prepare breakfast, lunch and dinner, which means washing, shredding, kneading, seasoning, cooking and, at the end, cleaning… These are all daily activities that take place on tops and worktops that must be practical and functional, but also resistant and easy to keep clean. 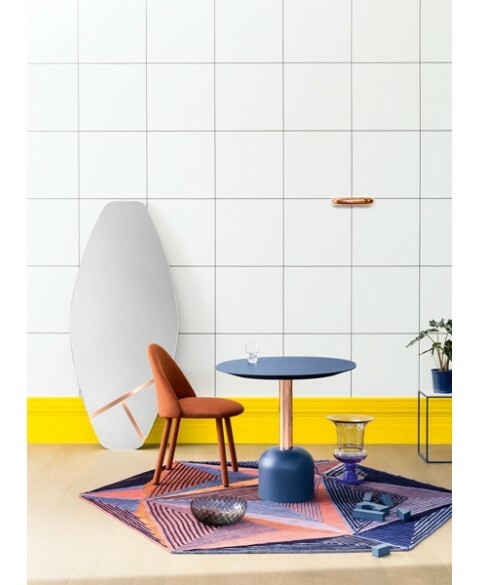 The market really offers a rich choice of solutions ranging from the most classic materials, but technologically enhanced, to those of the latest generation. 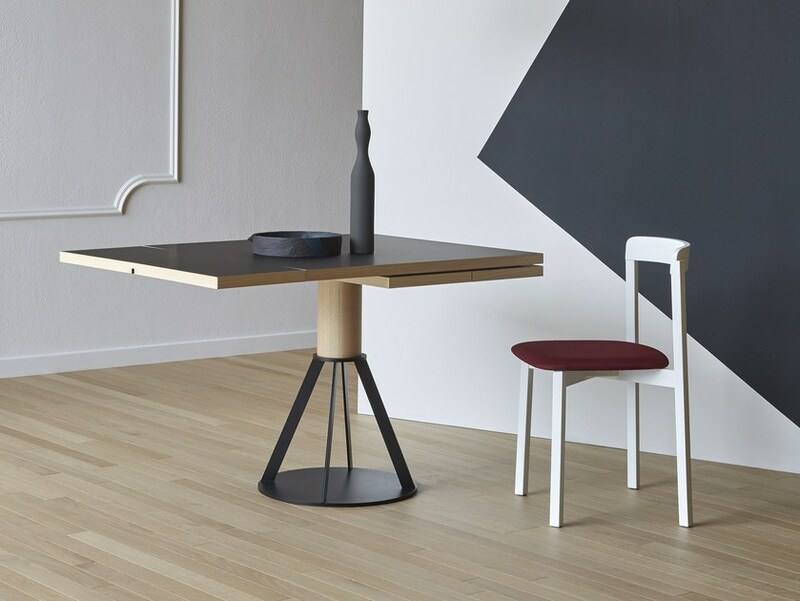 In fact, the tops are asked not to absorb liquids, to resist scratches and abrasions, to be stain-resistant, heat-resistant and also ecological. 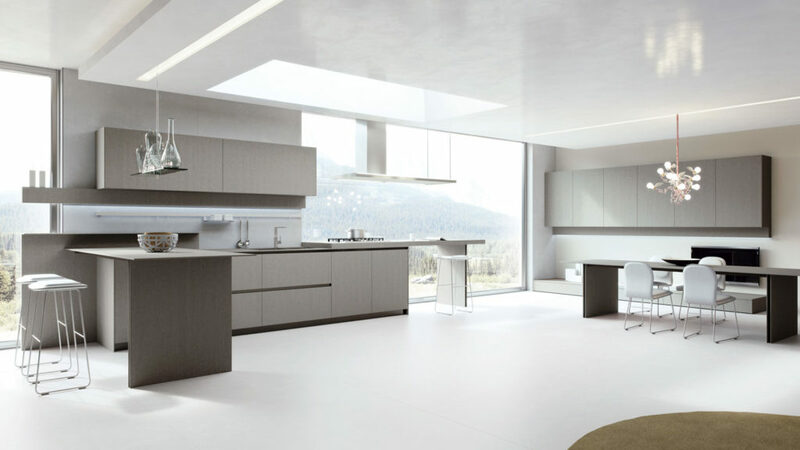 This month we have collected for you the most innovative materials for your kitchen worktop. 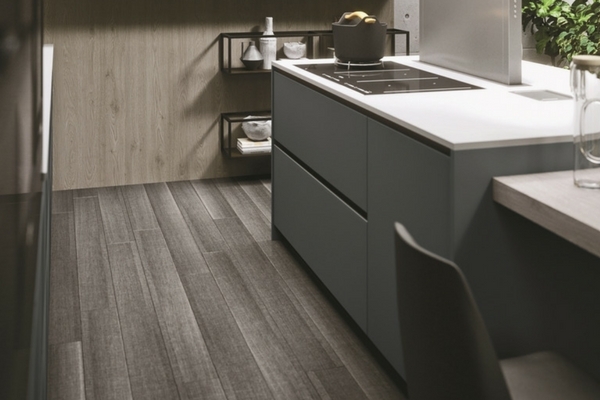 Among the absolute novelties in the panorama of kitchens, Viroc is a composite material obtained from a mixture of pine wood and cement. From these we obtain a strongly compressed and dehydrated amalgam. It is a versatile product that can also be used outdoors and in spaces other than the kitchen. The panels combine the flexibility and durability of wood with the strength of cement and have a natural appearance of black or gray and uneven surface. The Viroc material can also be found in other beautiful colours such as white, yellow, red or ochre. Other characteristics of the material are its resistance to UV rays and weather conditions, its strong opacity, its odourless, fireproof and non-toxic nature. It does not contain volatile dangerous components such as asbestos or formaldehyde. An excellent material, therefore, but it is neither renewable nor biodegradable. Another welcome new entry into the world of worktops is Paperstone. 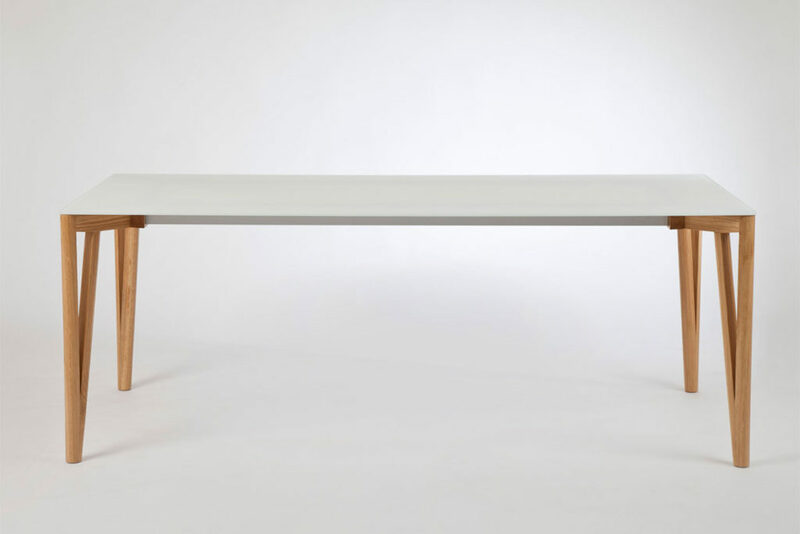 Ecological since the production phase, it is also a composite material but made of 100% recycled office paper plus water-based resins and oils obtained from cashew shells. 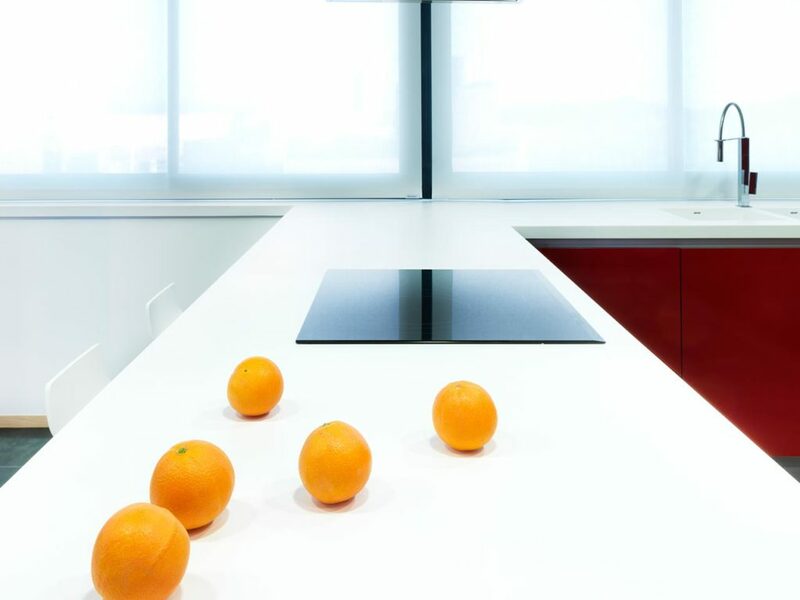 The Paperstone worktop is pleasant to the touch and to the eye, recalling the appearance of natural stone. 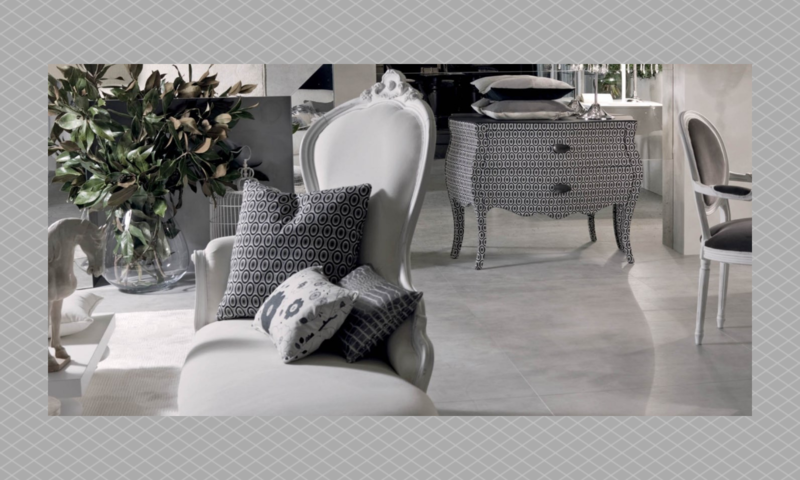 Among the interesting physical characteristics of Paperstone we find the strong resistance to shocks and abrasions, the fact that it is stain-resistant, water-repellent and almost acid-proof. It is also available on the market in different colors and, although derived from paper, has a strong fire resistance. Its cost is absolutely affordable. 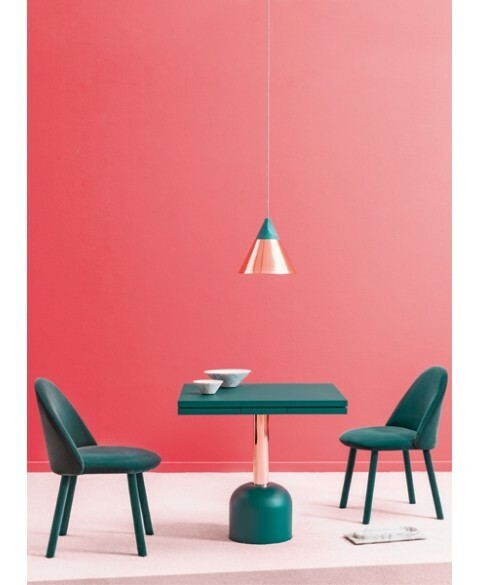 Among the technologically advanced materials, Fenix is certainly one of the most innovative and is particularly suitable for refined and modern aesthetic solutions. The use of nanotechnology during the production phase allows to obtain an external surface that, treated with acrylic resins of new generation, hardened and fixed through a special process, is resistant to wear and chromatically stable. 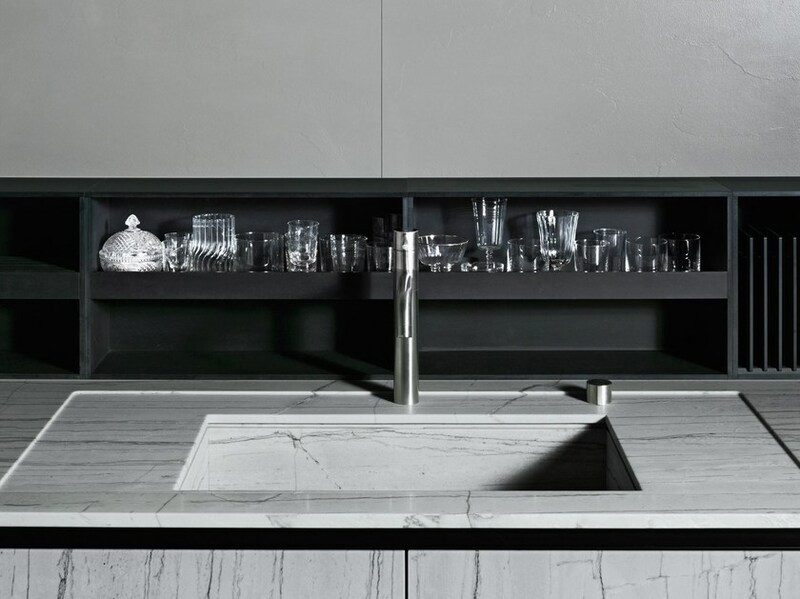 The worktop is opaque, impact-resistant and soft-touch. 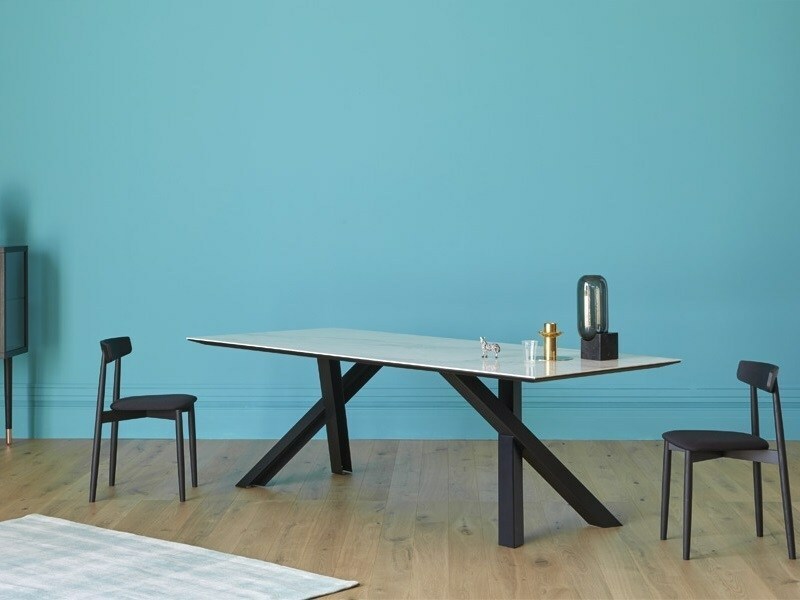 The name Fenix refers to the ability to regenerate from any surface scratches thanks to the thermal repairability. Maintenance is also simple and quick: a preheated cloth is used which must be rubbed on the damaged part: the heat does the rest. 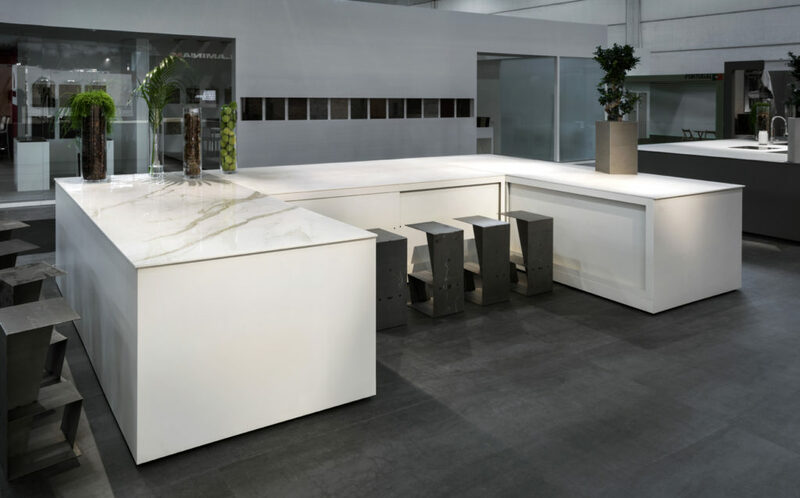 Krion belongs to the solid surface category of which we know the well known Corian and to which it resembles in appearance and characteristics. 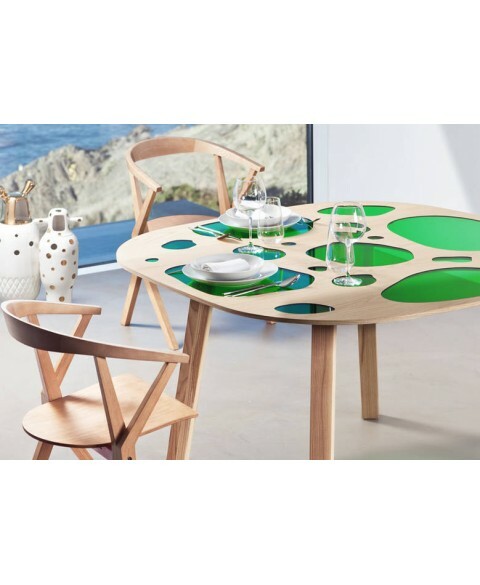 It is an ecological and 100% recyclable material, obtained from a mixture of 2/3 natural minerals and high strength resins. The Krion tops are warm to the touch and recall natural stone. In addition to white, you can have it in many colors and different thicknesses. Krion panels are processed as if they were wood and, in addition, it is possible to obtain soft and curved shapes by means of heat. In addition, compared to similar materials, it is lighter and therefore versatile and is also used outdoors as a facade cladding. Easy to clean, it is rather resistant to stains and wear, but if damaged it can also be restored using an abrasive sponge. 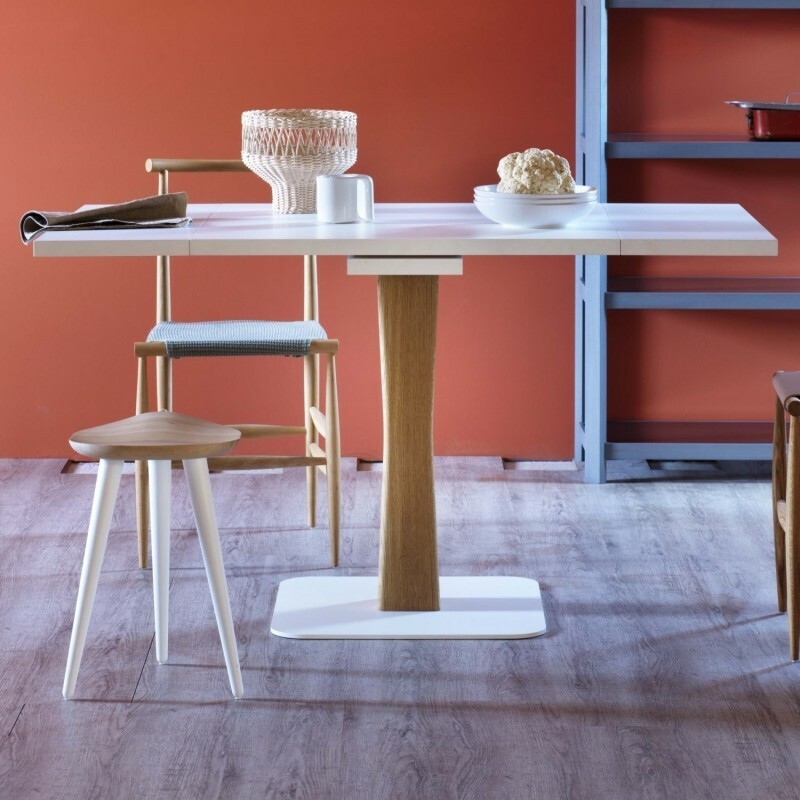 If several pieces have to be joined, the joints are invisible, the surface has no pores and is antibacterial, making it particularly suitable for kitchen and bathroom tops. Laminam tops are characterized by their reduced thickness, being sheets of only 3 mm that are obtained from a mixture of natural raw materials. In fact, the production process requires that the basic materials, such as quarry clay, granite rocks and ceramic pigments, are wet ground and then compacted and sintered at a temperature of 1,300 °C. The thin surface produced is characterized by a high resistance to wear and tear but also to solvents or detergents. Due to its low thickness, the Laminam sheet is then glued to a plywood or cement panel. 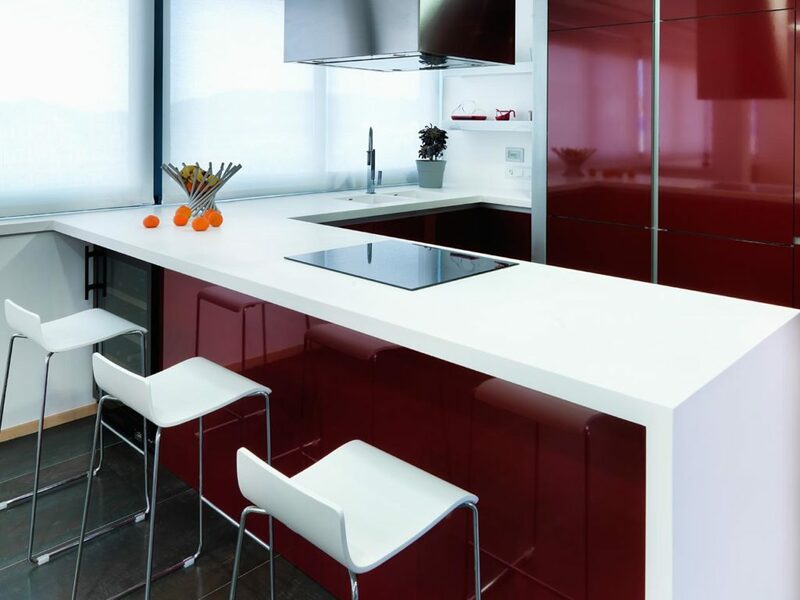 Laminam is a very aesthetically pleasing material that can be used both in the choice of colours and textures, succeeding in recalling, depending on the case, Corian, natural stones or the most up-to-date trending resins. The surface is finished to be smooth or irregular to the touch and to be opaque or semi-gloss. Beautiful, practical and functional, even if not for all pockets yet.